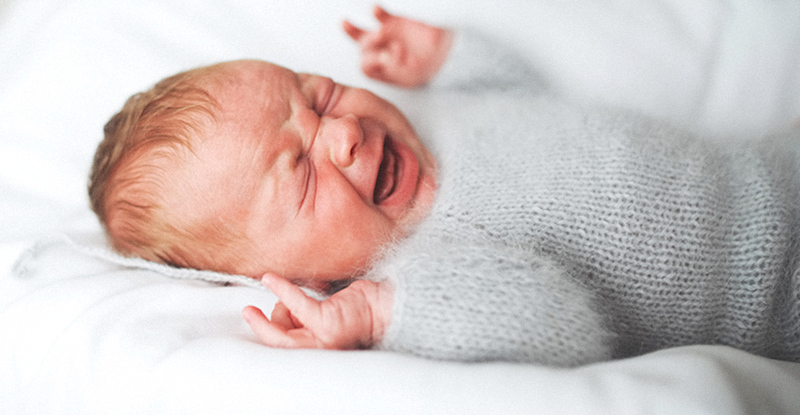 This App analyses by recording your baby's cry for 5 seconds. Records and analyzes more than 20,000 sounds of a crying baby. You can easily understand a baby's request on the display. 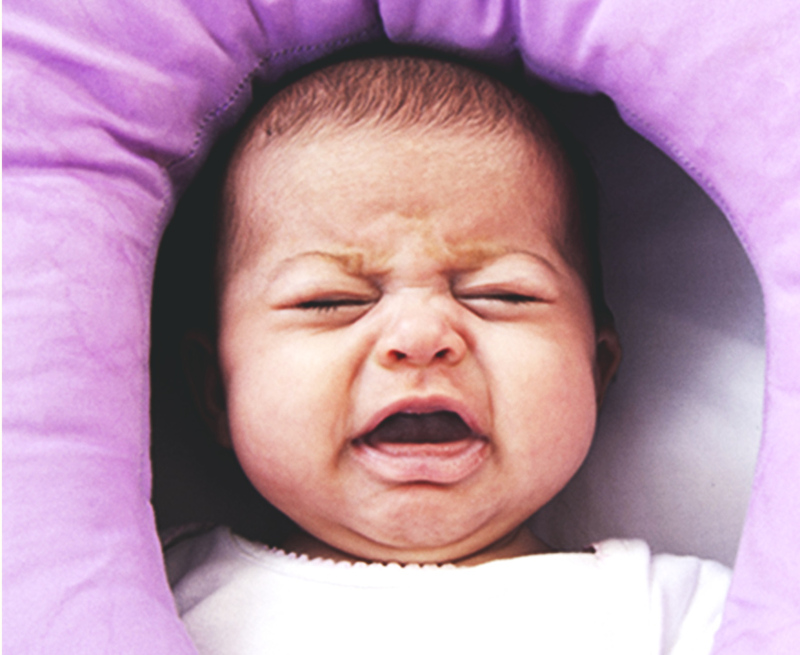 Personalize your baby's crying pitch for more accuracy! FIRST ASCENT INC. has recorded the daily life sytle, growth and development of more than 200,000 baby's. The results from this research has been presented at multiple conferences. FIRSTASCENT INC. has recorded and analyzed more than 20,000 different babies stages of emotion. 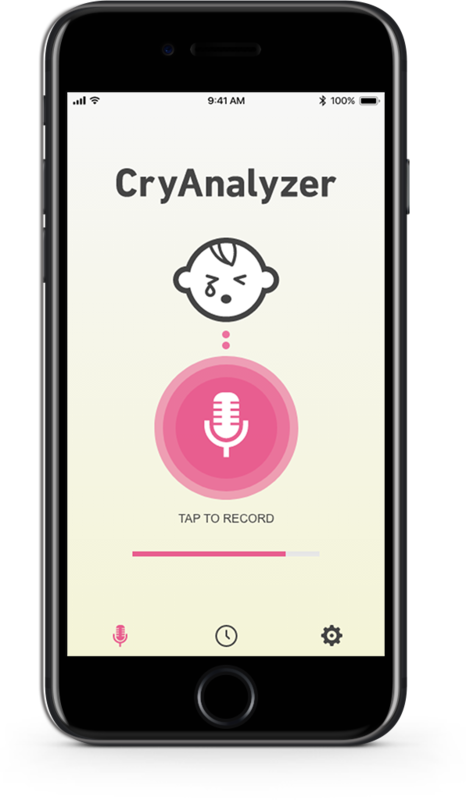 The "CryAnalyzer" APP assertion is it is over 80% accurate for identifying a baby's emotional state. 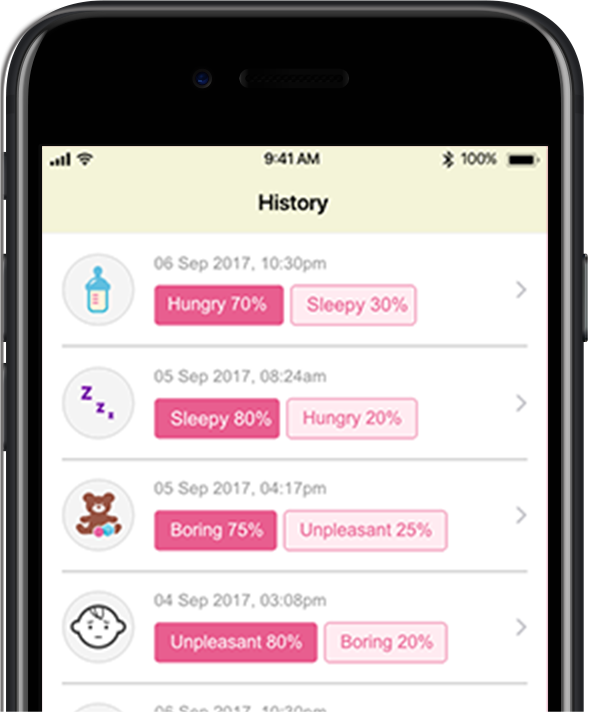 The APP operates by recording your baby's cry for 5 seconds and then analyses it to match the particular need of the baby based on historical data stored in the APP. 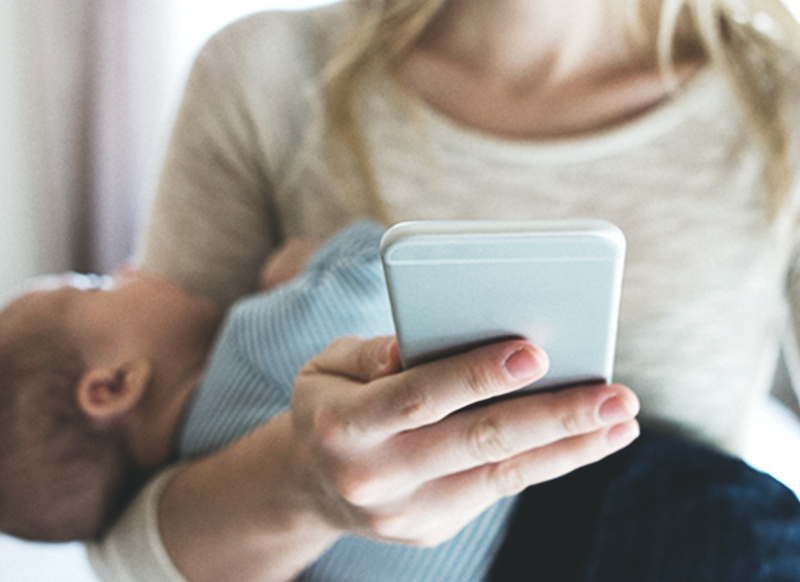 Based on the historical data saved in the APP it will personalize an algorithm to identify your baby's emotional state for clear accuracy every time.